IBM Server VARs reviews by real, verified users. Find unbiased ratings on user satisfaction, features, and price based on the most reviews available anywhere. 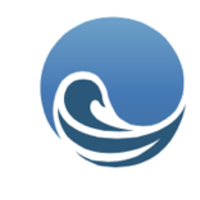 Sea-Level Solutions is a dynamic and progressive young company with a clear objective - to provide our clients with innovative and cost-effective business solutions through the efficient deployment and integration of information technology. Sea Level Solutions is a US-based firm that specializes in EDI, System Integration and Staff Placement & Augmentation. Sea Level is a partner with Sterling Commerce (an AT&T Company) for the industry leading tool Sterling Integrator. 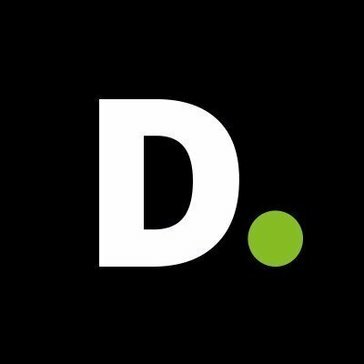 Deloitte Consulting is one of a consulting firms with leading practices in Process/BPR, People/HR, Technology including IT, CRM, ERP, Strategy and Outsourcing/BPO/ASP. Deloitte Consulting Product Services (DCPS) is the firm's technology reseller company. 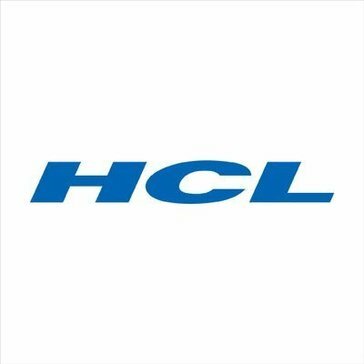 HCL is a global transformational enterprise today. Its range of offerings includes product engineering, custom & package applications, BPO, IT infrastructure services, IT hardware, systems integration, and distribution of information and communications technology (ICT) products across a wide range of focused industry verticals. 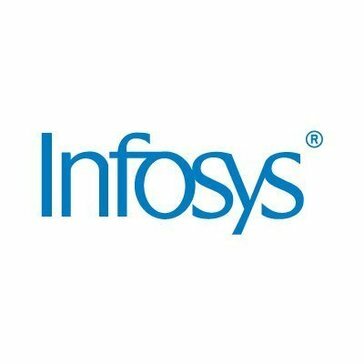 Infosys Technologies Ltd. (NASDAQ: INFY) provides consulting and IT services to clients globally as partners to conceptualize and realize technology driven business transformation initiatives. With over 21,000 employees worldwide, we use a low-risk Global Delivery Model (GDM) to accelerate schedules with a high degree of time and cost predictability. Open Text formerly Metastorm is a long standing, award winning IBM partner utilizing IBM WebSphere and Information Management technologies to drive value across all major IBM servers (zSeries, iSeries, pSeries and xSeries) leveraging the unique strengths of those platforms and their major subsystems, including CICS, to enable increased business value and ROI. PC Mall is a full-line national reseller of computer hardware, software, peripherals and services. Specializing in IBM Cognos Solutions throughout North America, QueBIT partners with clients to develop customized solutions that work. QueBIT utilizes best practices and the latest technologies to provide companies with efficient, easy-to-use solutions at exceptional value. Founded in 2011, Salient Process is an IBM Gold Business Partner, and a leading provider of IBM Digital Business Automation services and solutions. Salient Process is the creator of the next generation IBM BPM UI (SPARK), and the Quick Process Builder. Providing both software and services for Digital Business Automation, Salient specializes in Robotic Process Automation, Business Process Management (BPM), Content Management, and Decision Management (ODM and DSI). Softchoice specializes in volume licensing solutions to coporate customers with the goal of making the process of finding, purchasing, renting and maintaining software easy for our customers. Infocrossing, Inc. (Nasdaq: IFOX) is a premier provider of a full range of IT outsourcing services, including mainframe outsourcing, midrange and open systems management, business continuity services, and IT infrastructure consulting. 321Gang, Inc. provides products and services to help organizations who rely on software development for their business needs. 321 Gang supplies clients with customized training, customized consulting, and tools which improve quality and increase productivity of the software process. Aavitech LLC is Reseller/Solution provider, thrives on differentiating factor by providing transformational solutions to end user pain points, helping them enable their businesses to leapfrog over their competition with the best of breed IBM software products. Aavitech is longing to be a big part of the "Smarter Commerce" initiative and the 2015 road-map and focuses on "Industry Solutions" brand in planning and optimization(ILOG), eCommerce(WSC, SC) and Business Solutions(B2Bi and MFT). Direct Systems Support (DSS)is an IBM Premier Business Partner located in San Diego and conducting business throughout the state of California. DSS specializes in RS/6000, AS/400 and Netfinity based server solutions. In addition to its premier business partner status with IBM, DSS is also a Hosting Advantage member, e-business certified and e-firm certified. DSS was also an IBM Solutions Provider of the Year. DSS sells IBM products and services only. Acumlus LLC. is a veteran owned managed service provider and reseller of Cloud Computing services, Professional IT services,Software and Hardware. We are advanced licensed partners with IBM, Microsoft, Amazon, Lenovo, Dell EMC and Intel. ACC was established in 1982. 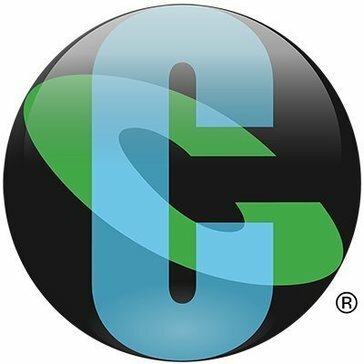 Our goal was to provide quality computer hardware, software and services at competitive prices; we have since evolved into a full service integrator of technology products and services. As a Premier Tivoli Business Partner, they focus exclusively on Tivoli and bring a hands-on approach to jump-starting your implementation. Every organization has some sort of business rules irrespective of whether they are documented or not. The level of documentation and hence, the ability to understand those rules would vary and impact considerably on the organization's ability to change - replace personnel, change business process etc. Business Rule Management System (BRMS) has arrived in the market. Agilysys, an IBM Premier Business Partner, is a leading developer and marketer of proprietary enterprise software, services and solutions to the hospitality and retail industries. Alacrinet brings a broad base of skills in IBM technologies that extend the overall Portal value proposition. Alidade Technology Inc. is focused on its customer's ability to achieve business results through the successful implementation of technology. All Blue Solutions is a Premier IBM Business Partner focused on providing IBM Managed Services and IBM Managed Security Services to its clients across North America and Europe. Located in Roseville, California, Allied Network Solutions (ANS) is a tier one Disabled Veteran Business Enterprise (DVBE) and Federal Small Business providing high-quality IT products, services and staffing to federal, state and local government agencies. Alphalogix is a long time, IBM Business Partner with expertise in portal technology, electronic forms and workflow solutions. Alpine Consulting, Inc. is a professional IT services firm specializing in e-business solutions, custom software development, and systems integration for mid-market and larger companies. Amatra is an Indiana based company providing consulting in software development and infrastructure. We are also IBM product reseller. Analytica specializes in assisting clients manage, analyze and protect information. Analytica is a rapidly growing SBA certified Hubzone, small, disadvantaged business that has also been recognized as a leading small, minority-owned businesses for Washington DC in 2011 and 2012. Apex Process Consultants offer business process engineering services to businesses of all sizes delivering performance through agility. We are service partners with the IBM Software Group and authorized software resellers of IBM Business Process Manager. Apperian App Management is a product of Arxan, delivers the confidence to build, deploy, and manage an organizations most innovative and valuable applications. Aquitas Solutions specializes in supporting Maximo Enterprise Asset Management (EAM), IT Asset Management (ITAM) & IT Service Management (ITSM) upgrades and implementations. The company is registered with the Small Business Administration (SBA) as a Service Disabled Veteran Owned Small Business. At Arcisphere Technologies, we navigate the end-to-end development process for our clients using the IBM Rational product line. Armstrong Process Group (APG) is committed to providing proven and practical process guidance for aligning information technology and systems engineering capabilities with business strategy. At Arraya Solutions, we have harnessed the experience and know-how of our team members and partners to build a successful IT infrastructure services firm dedicated to customer satisfaction. Arve Inc., founded in 2009 is a consulting firm that helps clients to optimize their IT investments to deliver demonstrated business value. Arve is a boutique system integrator and leading expert in creating unique model driven API approach combining industry Models and API Connect, create process improvement and automation solutions using Scalable & performant design for multi-cloud deployments to enable customers to compete effectively in API Economy. Asponte is here to provide an end to end partner for all software projects. The company helps customers think of innovative ways to deliver new clients, and new ways to expand businesses. Assurance Data is a security focused IT consulting firm offering a wide range of solutions and services that enable our customers to mitigate risk, secure data and optimize performance. Assurance Data is committed to helping organizations achieve their goals and manage threats in their evolving IT environments with the right combination of products, services and solutions that fit their specific needs. Through a comprehensive knowledge of the marketplace and strategic partnerships, Assurance Data can assist with a full range of technology projects and solutions. Astound Commerce is an expert in ecommerce solutions and digital strategies with global outreach. Automatic IT has assisted hundreds of IWS customers with acheiving their workload automation goals. Bay State Computers, Inc. is a professional services firm and a leading provider of Information Technology (IT) services and products to the U.S. Federal Government and Industry. Bay State brings together experienced IT professionals and the latest state-of-the-art technology tools, practices, and products to support projects and task order requirements for our customers. We are an ISO 9001:2000 certified company and we utilize industry best practices and ISO standard quality assurance repeatable processes and procedures to ensure that planned expectations and goals are achieved. Bilqees Technology Solutions (BTS) in Saugerties, New York, is an authorized IBM Reseller and provides knowledgeable IBM™ middleware technology development and administrative services for companies who adapted service-oriented architecture in their environment. BRS Commerce is an expert in the IBM Sterling Commerce products for Managed File Transfers and Business to Business Integration. BlueSky is an eCommerce consultancy implementing solutions that are tightly aligned to IBMs market leading Smarter Commerce portfolio. Bridge Solutions Group is a global strategy and technology consultancy that specializes in order management and fulfillment. We partner with retailers, manufacturers, and distributors to help them improve their customer experience, increase inventory turns, and fulfil cross-channel orders efficiently and profitably. BSD Group, Inc. specializes in Consulting and value-added Placement Services. Our core consulting practices include Software Quality Assurance, Development Solutions, and IT Governance. Hi there! Can I help you find the best IBM Server VARs solutions?